The Series PC-AN 1/8 DIN Process Counter/Totalizer is designed for process automation counting or totalizing applications. 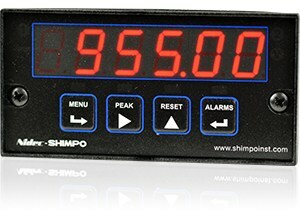 The PC-AN displays rate or totalized rate to six digits for 0-1 mA, 4-20 mA or 0-10 V analog process signal inputs. 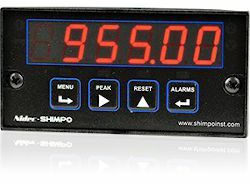 The scaling capability allows the unit to display flow rates in gallons/minute or liters/sec or volumes in gallons or liters corresponding to the output of a flow transducer. Another typical application for the PC-AN’s is to scale the unit to display power consumption in kilowatts or total utilized energy in kilowatt-hours based on an output of a power transducer. Square root extraction is selectable and can be applied to rate or total, ideal for use with differential pressure flow meters which have a squared output. Extended PC-AN models can provide batch control based on linearized total. Extended units can totalize linearized flow from an analog rate signal, count up to a preset value, or count down to zero from a preset value for batch control. Operation as a batch controller typically requires the dual relay output option. One relay is dedicated to ON/OFF batch control while the second relay is available to slow down rate near the set point or to provide another alarm or control function based on rate or total. Another offering of extended models is the time based on rate calculation where units display the time inversely proportional to measured rate, ideal in applications such as the time that it will take a conveyor to traverse an oven. As the rate of the conveyor is increased, the displayed baking time is decreased. 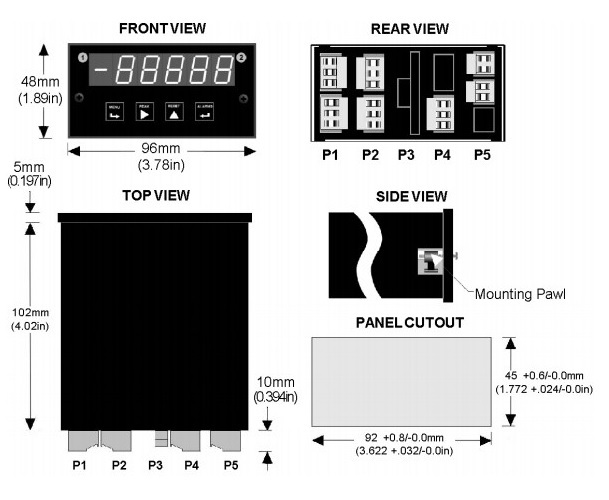 The PC-AN’s offer Universal AC or DC power selections which enables flexibility with usage in various power situations. Optional 8 A contact or 120 mA solid state relay outputs, plus an analog process signal output with 4 user-selectable current or voltage ranges are available. To provide a higher level of communication and integration into a system’s network, several communication protocols such as RS-232, RS-485 and even USB options are available. Units come standard with an isolated excitation output to power transducers, eliminating need for additional power supply. Universal power range of 85-264 VAC / 90-300 VDC or 10-48 VDC / 12-32 VAC power eliminates need to purchase country specific models. When panel mounted, NEMA 4X (IP65) front cover protection keeps fluids out; enables installation in environments exposed to wash-downs.